Sobering news from a new report by the Governors Highway Safety Assn. : bicycle deaths across the U.S. rose 16 percent between 2010 and 2012. California led the nation with 123 deaths; California, of course, is the nation’s most populous state. For perspective, 2,816 motorists were killed in California in 2012. Perhaps one of the most notable trends bicycling-wise is that adults 20 or older are now most often the victims compared to the 1970s, when most victims were 19 or younger. Alcohol and not wearing a helmet continue to be major factors in bike accidents these days. Experts also say there may be more bike commuters these days. Does this mean that biking is unsafe? Of course not — plenty of people use their bikes every day with no incident. As with most other things in life, there are some good safety precautions worth taking. Please see the bike page on metro.net, which has plenty of commuting and safety tips and links to other sites. It’s especially important as daylight savings time ends this weekend, meaning it will be getting dark out during many peoples’ afternoon commutes. The One Direction singer takes a selfie on a train. Most of the people around him seemingly fail to notice or care or experience a life-changing moment. On social media…it’s a different story. Spring and fall are usually the time when most animal-vehicle collisions occur, owing to wildlife migrations. 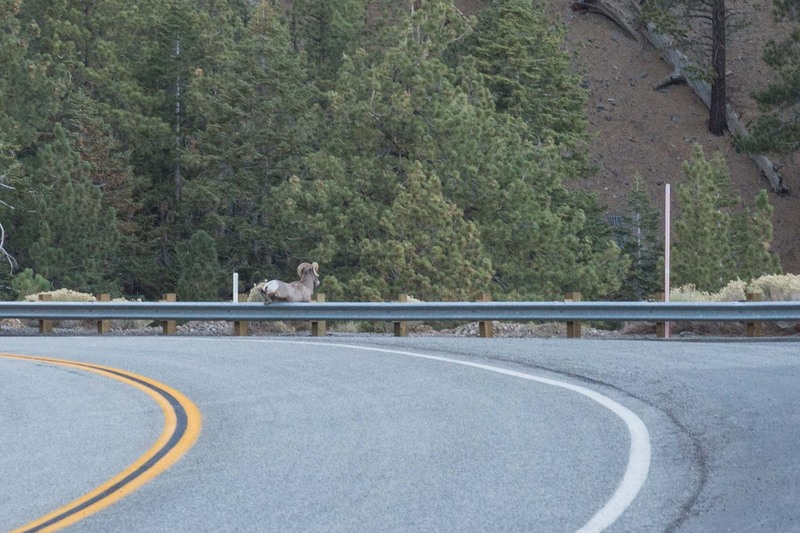 This op-ed offers some useful advice — be careful, especially on two-lane roads in rural areas — and argues that more specialized wildlife crossings (i.e. bridges and tunnels) should be built to get critters across the road. Caltrans and the National Park Service are talking about a wildlife crossing under the 101 to help mountain lions and other animals migrate between the Santa Monica Mountains and the Simi Hills — although lack of funding will be a big challenge. Quasi-related: The Angeles Crest Highway, shown above, may not offer transit service but there are plenty of trails and hikes reachable via transit in our area. In fact, we did a series of “Trailhead Hunter” posts in the past about this. Check ’em out: Griffith Park, L.A. State Historic Park (currently closed while being renovated) and Temescal Canyon. Also, you can reach Eaton Canyon Nature Center by taking the Gold Line to Sierra Madre Villa Station and transferring to the Metro 264 Bus and exiting at the intersection of Altadena Avenue and New York Drive. From there, it’s a relatively short walk to the Nature Center, which includes trails and access to the Mt. Wilson Toll Road. One million dirham in prizes (equivalent to about $272,000) are being given away as part of a promotion to entice residents to take transit. Included in the prizes are nearly nine pounds of pure gold. The BBC says car ownership rates in Dubai are some of the highest in the world at 2.3 vehicles per family. That said, car ownership rates in the U.S. overall are far higher than in the United Arab Emirates. Our work has found that nearly all zero-vehicle households live in neighborhoods with transit service, but those routes only connect them to 40 percent of jobs within 90 minutes. On the flip side, the Urban Institute found vehicle availability can improve economic outcomes for housing voucher recipients, especially in terms of neighborhood choice. Little wonder then that many car-less commuters find a vehicle to get to work. The big goal for policymakers at all government levels is to improve access to jobs, for all workers and across all transportation modes. Brookings also notes the recent work by the University of Minnesota that ranked large metro areas by access to the most jobs via transit. The Los Angeles metro area fared well, ranking third in the country. Hard to argue with Brookings’ conclusion that improving mobility across all modes is a worthy goal — the more options, the better, I think. The total number of people in the U.S. using a bicycle as their primary means of getting work in that time period rose by 18%. If the fatality rate was 16% for bicycle commuters, then the risk for getting killed while riding to work went down. There were 76 times more people in California commuting to work by driving compared to bicycling to work in 2012. Yet there were 22 times more motorists killed than bicyclists. It shouldn’t be over three times more dangerous to ride a bicycle compared to riding in a motor vehicle. The main cause of the fatalities for bicyclists is collisions with motor vehicles. People riding a bicycle should be entitled to minimum safety standards just like other forms of transportation.